Carolineskolen, a private Jewish school in Copenhagen’s Østerbro neighbourhood, was vandalized on Thursday night. Pro-Hamas criminals broke windows and spray painted graffiti on the world’s second oldest Jewish school. 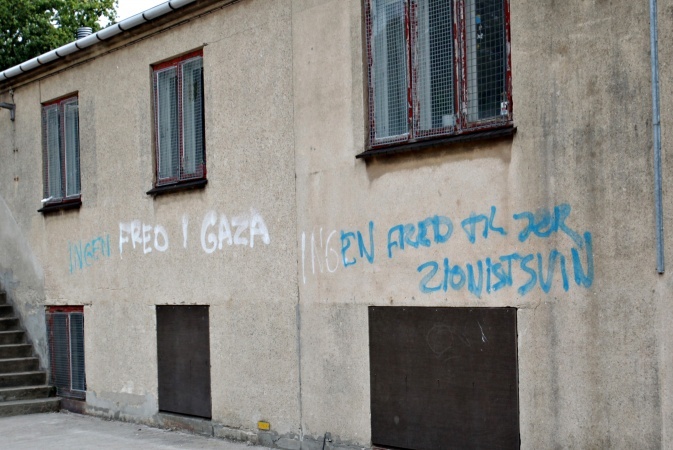 A Jewish school in Copenhagen had its windows smashed and anti-Jewish graffiti referring to the conflict in Gaza spray-painted on its walls, the school said on Friday. “We know that a political message has been written on the walls but we don’t know who is responsible,” Jan Hansen, headmaster of Carolineskolen, told AFP. “There have been parents who didn’t want to send their children to school today and there have been some children who were sad and a bit afraid who we had to send home,” Hansen said. Founded in 1805, the school, which includes a nursery, describes itself as the world’s second oldest still functioning Jewish school.